This week, Airline Transport Professionals (ATP) accepted delivery of two more, factory-new, multi-engine Piper Seminole aircraft. 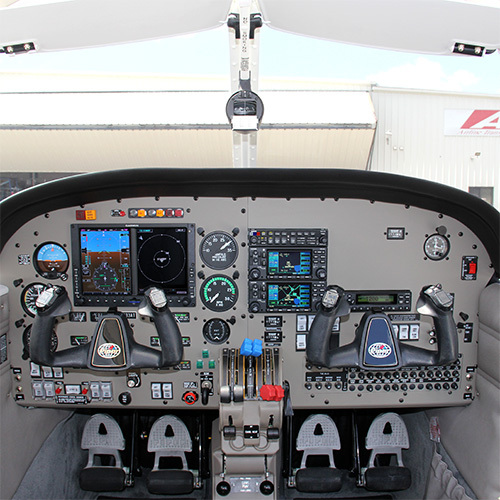 An additional two still remain on order and all are equipped with the Garmin G500 electronic flight deck, bringing ATP students the latest in glass cockpit technology. Airline Career Pilot Program students fly the multi-engine Seminoles for 115 hours in a nationwide, airline-style, training environment. Adding to already the world's largest multi-engine training fleet, this delivery of new aircraft, and continuing fleet expansion, is not only a testament to ATP's financial strength, but also to ATP's commitment to providing its students with the highest level of professional training. ATP currently delivers more pilots to the regional airlines than any other single flight school, college, or academy. The company is successful through the efficient immersion of students in multi-engine airline-style flight training over a short time frame. The benefit for the customer is the best training on the market at an extremely competitive price. The high-powered, high-value, low-maintenance Seminole will continue to aid the company in meeting its strategic goals. In 1984, ATP pioneered accelerated, professional multi-engine flight training with an emphasis on pilot career development. Today ATP’s Airline Training Programs prepare pilots for airline careers with nationwide flying experience in multi-engine aircraft. Airline hiring partnership letters with 10 leading regional airlines recognize the value of this experience, by offering ATP pilots specially reduced flight time minimums for airline employment, enabling pilots to reach their career goals faster. ATP flies over 9,000 hours and provides more than 350 FAA pilot certifications each month at 26 locations nationwide.